Every day I open my Jacquie Lawson Advent Calendar, click the glowing ornament and enjoy the day’s holiday animation. As the cyber village comes to life I relive the memories I share with my friend who sent this Christmas greeting. Every day I gather the mail from its box, bring it inside and stand by the kitchen bin, sorting my stash into bills, junk and CHRISTMAS CARDS! The colorful greetings from neighbors, family and long-distant friends are read, reread, then taped to the kitchen door frame to be admired throughout the season. This year I am adding another source of holiday anticipation–a blast from my past! 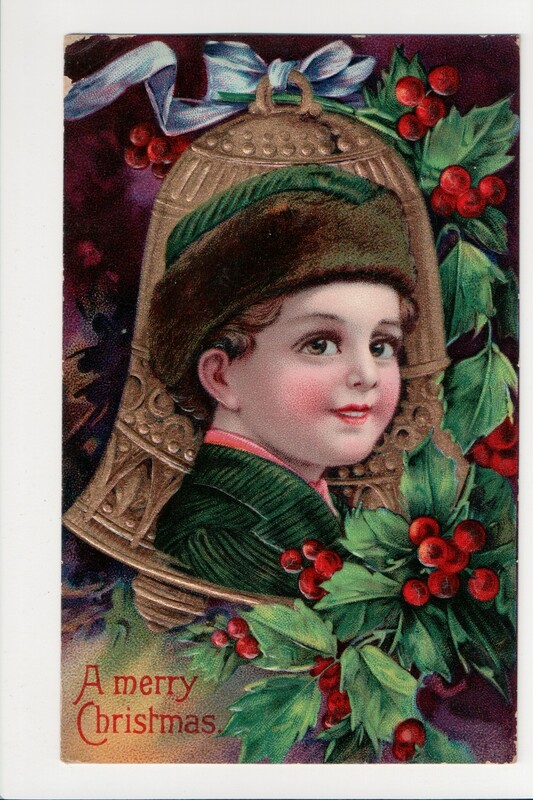 Each day I will print out a copy of the Christmas greetings mailed to my eight year old grandfather, Donald Corbly Minor, a hundred years ago. These postcards belong to a substantial collection found in a book made expressly for postcard collectors. When I tap into my printer’s menu options, I can actually increase the postcard 250% and make a small 8″x11″ poster. Day by day I will add a poster (praying that the poster tape is really paint friendly upon removal) to my living room wall, and by Christmas I should have a unique mural, a postcard quilt–that’s the plan. All sorts of loving wishes were sent to little Donald who lived on a farm at Rural Route 1, Carmichaels, Greene County, Pennsylvania, with his dog, Rover and a pony, Billy. Snowy landscapes, excited children, ladened Santas, birds and kittens all sent their greetings, much like Christmas cards today. 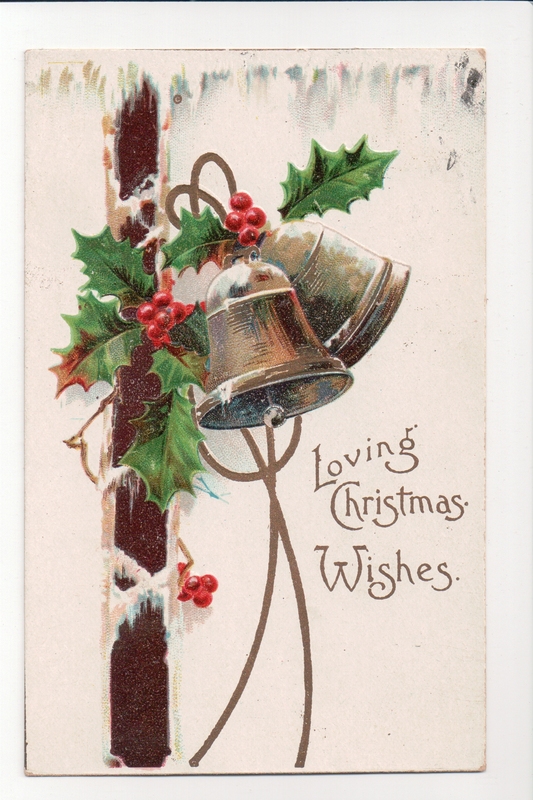 I love Christmas cards, in all their formats, but I must confide that one card–received over forty years ago–remains the BEST CARD EVER. It wasn’t a card so much as a note, left by an elf at our back door, and discovered by brother #2 who SAW the said elf as he hightailed his high-hatted self into the woods behind our Virginia home. 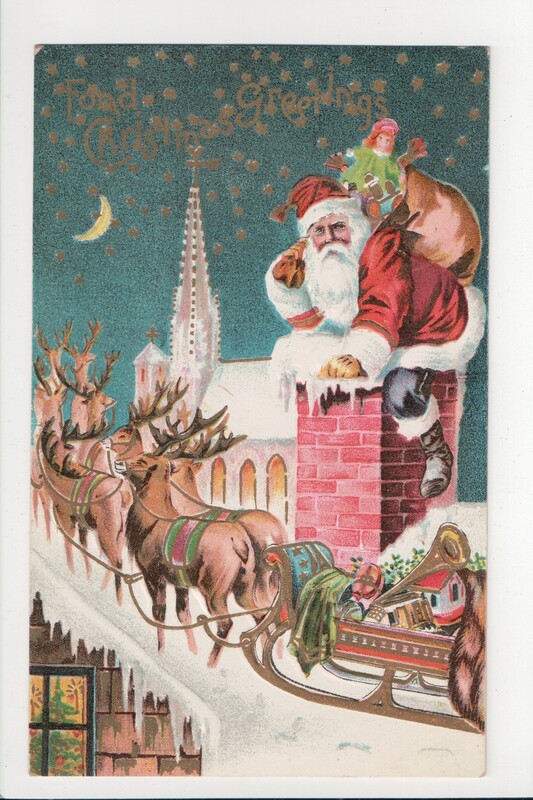 To discover the contents of Santa’s Christmas greeting you, dear reader, will have to pop by on December 6. 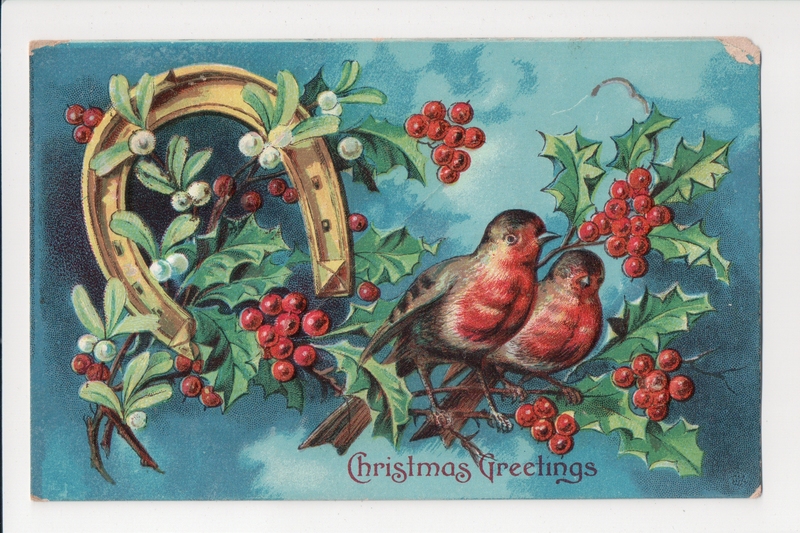 You can see more vintage Christmas greetings in my Postcard Advent Calendar, posts that begin December 14 and run through December 25. Enjoy! Lovely post! I’ll be back on the 6th – if not before. thanks, kay, for this extra push to get those 3D cards I just picked up for my own grands into the mail asap! I am sure that they will be wildly appreciated! HoHoHo!! !